This is one of the later movies classified as "film noir." Released in 1948 it represents a wonderful vehicle for Charles Laughton as the micro-managing editor of a major newspaper. In the lobby of the news building is a system of clocks that tell the time all over the world. It is representative of the value of time, as perceived by the newspapers editor Mr. Janoth (played by Charles Laughton). His star reporter, George Stroud (played by Ray Milland) has, on account of Mr. Janoth's work ethic, not been on vacation for several years. He is always pursuing some story, or even the hint of one, at the suggestion of his boss, Mr. Janoth. This is beginning to wear thin at home with Mrs. Stroud, who has thrown down the gauntlet. The train leaves at 6:30 sharp. She is going to go on vacation, with him, or without. When Mr. Janoth assigns Mr. Stroud a lead on a very important news story, one that could lead to his being promoted, Stroud is almost sucked back in, risking his happiness at home. At the last moment he decides to quit. On the way to the station, and his wife, he decides to have a drink to celebrate his "freedom." At the bar he meets a woman who happens to be the mistress (played by Rita Johnson) of his former boss and has a grudge against him. After a few drinks Stroud has forgotten all about the time and is uproariously drunk. After carousing about town and being seen everywhere, she takes Stroud, who is now too inebriated to navigate on his own, home with her to "sleep it off" on her sofa. There is no romantic involvement, just circumstances. When Mr. Janoth's mistress finds that the editor is on his way up to her apartment, she rouses the hapless Stroud from his slumber just in time for him to leave. But he has left behind the one thing that can potentially identify him; a sundial with a green ribbon that the two took from a bar. Mr. Janoth arrives and proceeds to have a fierce argument with his mistress. Words are said, and in a moment of rage Mr. Janoth uses the sundial to bludgeon his mistress to death. He then flees, leaving the murder weapon behind. 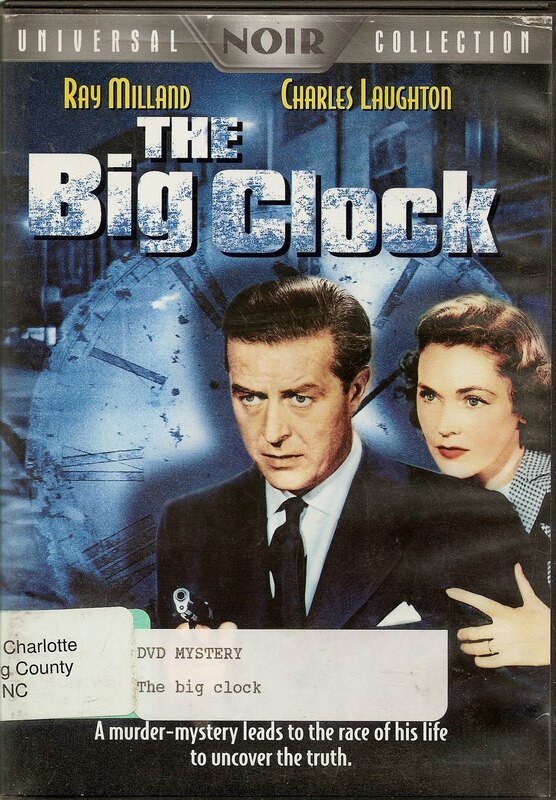 Aided by his most loyal minion, Steve Hagen,(played by George Macready) the race is on to find a fictious killer, and at the same time use the story as a vehicle to boost the paper's sales. In the meantime, our hapless reporter, Mr. Stroud, has re-united with his wife and child, and beginning his long overdue vacation. Then the phone rings. Mr. Janoth, who is desperate to pin his crime on someone else, cajoles his star reporter into returning from vacation, to solve the mystery and boost the paper's sales. Although Stroud does not wish to leave his wife he realizes the necessity of micro-managing the investigation. The irony here is that he is now doing exactly what he despises about his boss, manipulating people for his own purposes. With an outstanding appearance by Elsa Lanchester as a witness,(she also happened to be married to Mr. Laughton in real life and appeared in several films with him) she plays a struggling artist who has seen the alledged killer in an antique store on the night of the murder and in the company of Mr. Janoth's mistress. As the clocks in the lobby tick the time away, the noose tightens, threatening to ensnare Stroud in a trap not of his own making. With a tightly written script and the wonderful Direction of John Farrow, this movie will keep the viewer riveted until the final conclusions are drawn. A landmark film, set in the New York of the late 1940's, this film was remade as "No Way Out" in 1989 with Kevin Costner and Gene Hackman. They play a military officer (Costner) who is having an affair with a Senator's (Hackman) mistress. Both films are well made, but for my money I'll take Ray Milland and Charles Laughton in this exciting piece of film noir.